The Russian Science Foundation (RSF) has selected the winners in the competition for funding of projects conducted by individual research teams in 2017 and for the extension of the projects supported in 2014. According to the results, Tomsk Polytechnic University became the best non-metropolitan university in Russia. In 2017, the Foundation will fund 7 TPU research projects. The total funding amounts to 42 million rubles. Prof. Sergey Gyngasov, leading research fellow of Electronics, Semiconductors and Dielectrics Research Laboratory, for the project Creation of Physics Basics for Manufacturing of Zirconium Dioxide-Based Composite Nanoceramics with Predictable Strength and Functional Properties, Including Gradient Ceramics, Using Radiation Methods. Prof. Dmitri Atochin, Head of the Tomsk RASA Center Laboratory for Neuroprotection for the project New Inhibitors of c-Jun-N-Terminal Kinases (JNK) for Protection from Ischemic and Reperfusion Injuries. Another two-year extension was awarded to a research team that received funding in 2014. 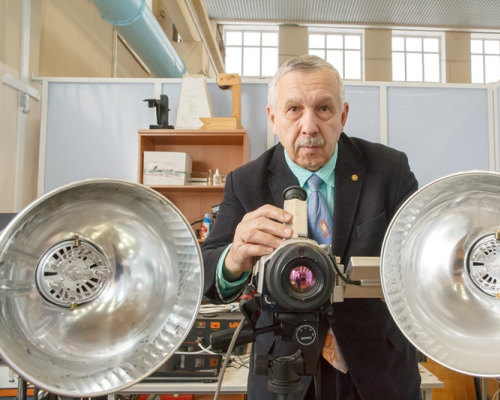 The research team headed by Prof. Gennady Evtushenko, Department of Industrial and Medical Electronics, has received 10 million rubles for the period of 2017-2018 to continue the project High-Speed Illumination Amplifiers on Transition in Metal Vapors. “Taking into account previously funded and implemented projects, Tomsk Polytechnic University will be supported by the Russian Science Foundation in the amount of 142 million rubles in 2017,” commented Denis Kurtenkov, Head of TPU Scientific and Technological Programs Office.